Welcome to Kanja. Located in the middle of Shirakawa-go, Kanja is a Gassho-Zukuri located on a hill with a very nice view of the surrounding area. From the entrance, guests can see Myozenji Temple. The owners of Kanja recently renovated the building and remade the traditional thatched roof typical of the gassho-zukuri in this part of Japan. There is a traditional Japanese-style hearth in the dining area. Kanja has 4 guest rooms, and fresh local vegetable dishes are its specialty. Check-in time is after 13:00 and check-out time is before 9:00 am. Snow Warning: There is a lot of snow in Shirakawa-go in January and February so please bring a pair of boots. Shirakawa-go can get up to 2 meters (over 6 feet) of snow in February. Shirakawa-go is a really magic place. Kanja give all the necessary ambiance, great dinner and breakfast and a comfortable stay! There was a lot of snow during the day, but inside the futton was nicely warm! The ryokan was clean and comfy. Dinner and breakfast was well prepared by the hosts and delicious. Will definitely choose Kanja again if we return to Shirakawago. Thank you Romain for helping us to secure this booking. It was very nice to be able to feel living in Kanja. The house looks small from outside but actually wide inside. the house was clean. the Tatami and Futon were very warm even it was winter. The Breakfast and dinner was very good too. Winter in Shirakawa-go is like a fairytale land. It is so beautiful. We were slightly late to arrived Kanja and the host already prepared everything for us. The dinner and breakfast which prepared by them were delicious. Overall, we had a wonderful experience there. 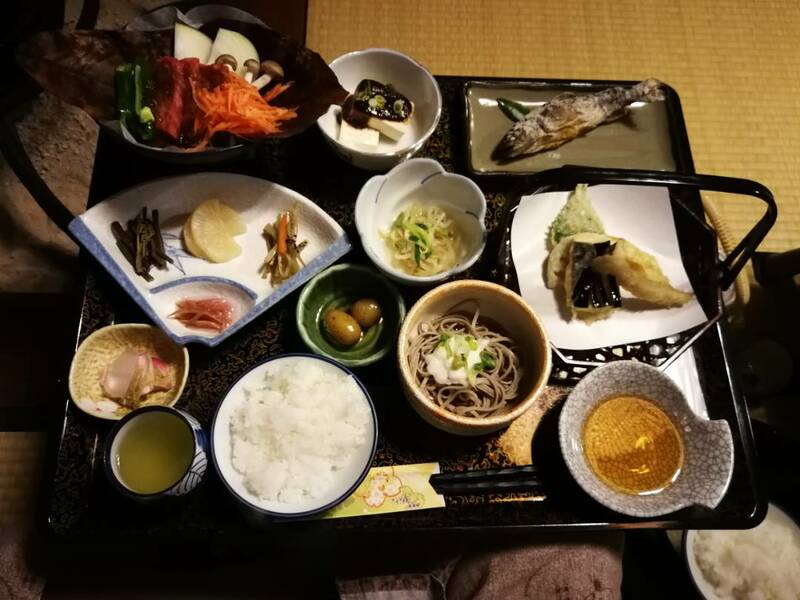 In this review, I would like to express my thankful to Japaenseguesthouse to help us booked this accommodation in Shirakawa-go. Kenja is a lovely guest house. 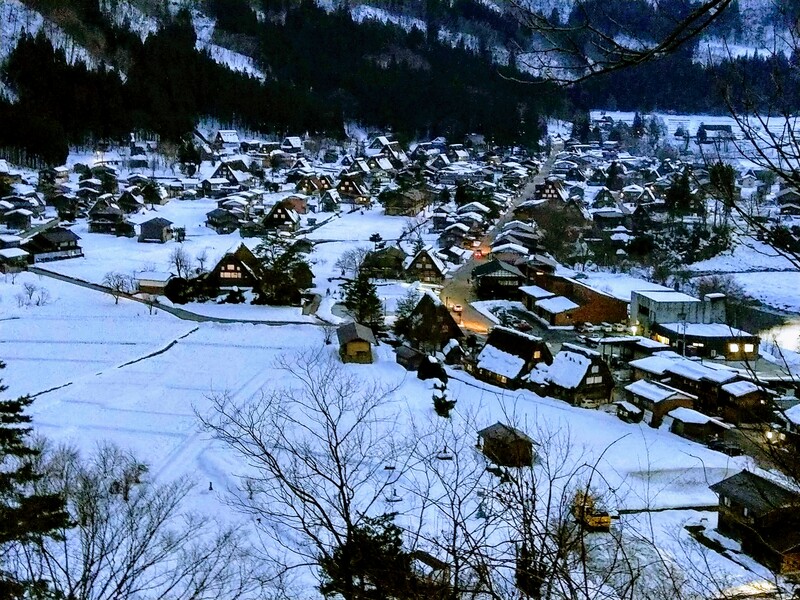 Get to know new experiences in Shirakawago. Staff are lovely. Clean rooms, clean bathrooms. Spent 1 night here during our trip to Japan. Very nice area to visit with this traditional accommodation. Friendly staff. Rooms were a good size and dinner + breakfast were fantastic. Shirakawa-go is a beautiful village. We stay at kanja house. It's a small house with a very comfortable. Very clean Toilet & Bathroom. Breakfast & dinner are delicious. I would like to recommend this place. Next time we plan to stay more than 1 days. staying a night in Shirakawago is definitely a must, with the fairytales like atmosphere, we took countless photos just for a spot. Please remember to take a bus or walk to overlook platform to see this beautiful village. No stars at night cos cloudy which lead to raining throughout the night. Wowla, the whole village turned richer in colour next morning ! more photo taken. We enjoyed the Dinner and Breakfast (served with coffee!) very much and had 3 helpings of rice. My group of 4 travelers loved our stay at Kanja house. The host was unbelievably polite and cooked us absolutely delicious dinner and breakfast. Those two traditional Japanese meals alone would have been worth the cost! The house was very clean. Bathrooms were modern and kept spotless. They let us keep our bags an hour or two after check-out as well which was nice. The house is about 10 minutes walks from the bus-stop, tucked into the corner of the town. There is an Hot Spring (Onsen) about 5 minutes away which was well priced and high enjoyed. We loved our stay in Shirakawago and all of us felt it was a must see if you are traveling through Japan. I think we were maybe a few weeks early for the truly great fall colors, but in mid-October we still had some beautiful scenery. I can't recommend Kanja house enough. Firstly the sign over the door is Kanija. Just in case you think you have the wrong one. We loved our stay. Although it seemed an extravagant treat we were so pleased to have experienced it. It sits at the back of the village away from the crowds and you open your paper door to the view of wild flowers and fields. 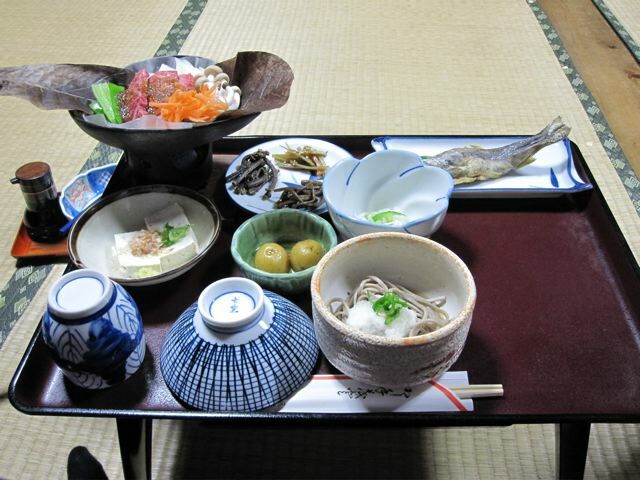 The meals were amongst the best we had sampled on our stay in Japan. This was a great experience, spotlessly clean, great food, great area and very good hosts. We loved our stay at Kanja.The atmosphere was very nice ,peaceful and amazingly beautiful view from the highest point of the village. The dinner and breakfast were very well prepared by the owner and it was delicious. We enjoyed so much wearing the yukata and we spent a good time just sitting on the porch and talked to the other guest next to our room. We would defenitely like to come back during winter time. Kanja is a really lovely place located in Shirakawa-go. The place is 15 min walking from the bus station. The atmosphere is so nice, peaceful and quiet, the facilities are really clean and they provide you everything you need to have a relaxing bath. The dinner and the breakfast were delicious: good food, very tasty and very well presented. We slept in a traditional Japanese style room (tatami) and we had so much fun wearing the yukata and enjoying the breeze on the porch after dinner. We would like to come back. Beautiful amenities - shower room felt like my own private spa. Spacious room with a stunning view. The hosts are very friendly and prepared an incredible traditional dinner, dessert and breakfast. It was truly an unforgettable experience! Fantastic experience. Lovely hosts and great food. Good location to visit the village, 15 min walk from bus station. We arrived from Toyama earlier than check-in time but the lady was kind enough to let us have our luggage to be kept in the house. We spent few hours wondering around the place and taking a lot of nice photos. I have been to Shrigawa go few years ago and this is my 2nd time visit with my family members so I have decided to experience staying in an old house for a night. The house was comfortable and the dinner and breakfast were very good. The lady was busy serving us very good good and we had so much fun talking to the people staying in the same house. At night after all the noisy tourists left the place. It was so quiet and breezy to walki around with our Japanese yukata. Overall it’s a good experience and to understand the Japanese way of living in rural area. My family members all enjoy it so much on this trip. I would recommend this who are visiting Shirakawa go to stay here or one of the old houses for a night just to experience the relax and quietness of the place than our rat race city. The village is very beautiful. To be honest, the Ryokan is disappointing after reading all the good reviews. The room is very small and way too simple. I guess that's what people used to live in the past. 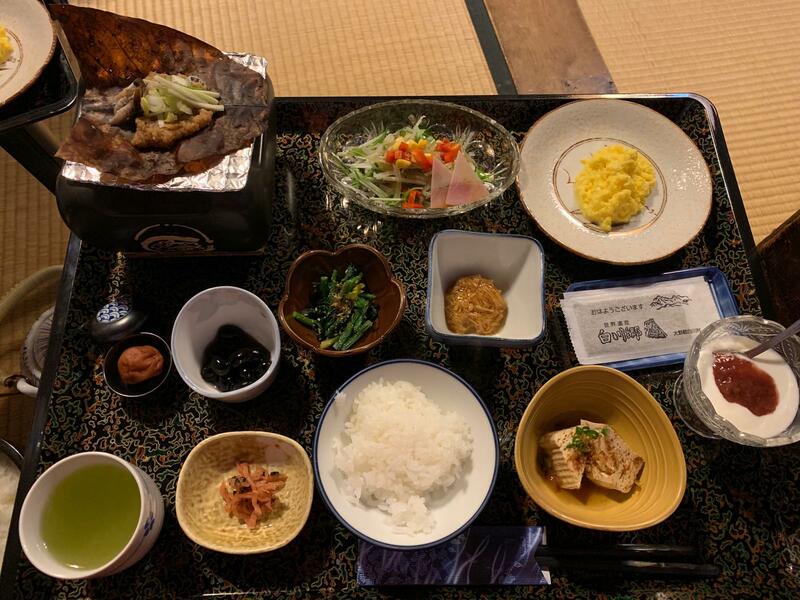 The breakfast and dinner are delicious but I have had better ones at other Ryokan. Even though the room and all the facilities are very basic, we had a good night sleep. Highly recommended - a different view of Shirakawa-g? Four of us stayed for a night at the lovely Kanja where we received great hospitality in comfortable and authentic settings. Staying overnight in Shirakawa-gō really provided a different feel for the place, especially when the town empties from the day visitors. The food served for breakfast and dinner was delicious. We arrived by bus from Kanazawa - we left our luggage there and only brought a night bag. This made the visit much easier. This is the first time at Shirakawago for me. I had a good luck because I can reserve room for sleep 1 night with my friend. I impression and love Kanja because I feel Kanja is so peaceful. The place is so clean and delicious food. The staff has a good service. I love japanese culture. The future I need to go to there again. Calm and relaxation with cultured Japanese village. We travel from Tokyo to Shiragawago. I never expected beautiful scenery and such a homey ryokan. First impression is the house is on the top of the hill... it is so nice to walk up and see the village. Love amenities. Falling in love with meals. It is good to meet strangers and dinner together. The meals is fantastic ! Homemade .. Yummy.. Simple with smiley taste. Surely to come back any seasons. The stay was amazing! The place is as shown as the pictures and clean. The breakfast and dinner was so good! The experience of staying in a ryokan, sleeping on a futon was awesome! The room was well heated. The lady and grandma were really sweet despite the language barrier, they made our stay really enjoyable! The stay was simply amazing and will definitely visit again! Awesome and definitely the highlight of our trip to Japan, with the visit to Shirakawa-go and staying at this wonderful place, Kanja, for a night (sleeping comfortably while it’s snowing outside!). Wonderful & cosy environment, nice friendly host and, not forgetting the awesome dinner and breakfast. This place is very clean, smells nice – even the towels, blankets are all very clean. The whole experience just made it so unforgettable for my whole family. Highly recommended to stay here for a great experience! Kanja guest house was on the top of a slope and it was not easy walking up the slope with our luggages especially in snowy conditions. It was a nice guest house with delicious dinner and breakfast served by an old lady and her daughter. They do not speak much English so a little knowledge of Japanese was helpful. There are heaters in the room but should not be left turned on throughout the night. It can be pretty chilly in the night but we were given thick blankets with our futons so it was fine. I will definitely go back again to stay over. My partner and I decided to spend the night here, and I truly loved everything about the place. It's a bit further up from the shops, but I appreciate the quiet and cleanliness of the place. The dinner they prepared for us was amazing, and the rooms were cosy and neat. The wash area is small but very clean (which is a big priority for me). Highly recommend it to anyone who wants to spend the night at Shirakawa-go. Food was superb and the house was clean and confortable. All was perfect. 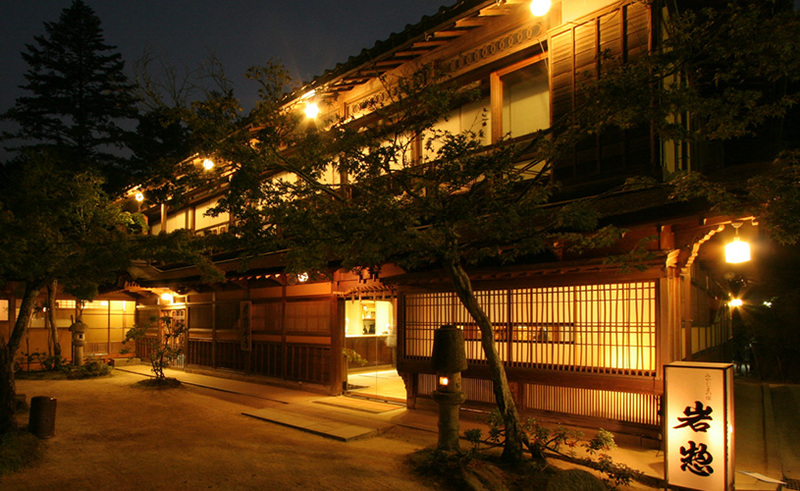 A night stay at Kanja is the best way to experience traditional Japanese living. Dinner & breakfast are lovely & delectable. Highly recommended! Awesome accommodation and superb dinner and breakfast. We are delighted with warm hospitality from Kanja. The interior of Kanja is very clean and beautiful. We would like to go back to Kanja again next time. Highly recommended to stay at Kanja. Last but not least, thank you Vincent Penez for the reservation arrangement and prompt respond of our enquiries. 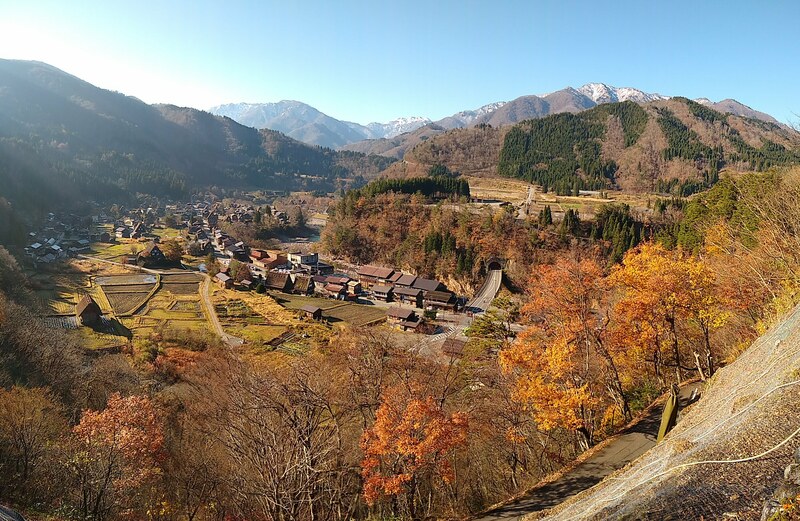 A friend recommended we visited Shiragawa-go and it ended up being the highlight of our trip. It is beautiful and unique. There are quite a lot of day tourists so if you are visiting, stay the night. The place is a fantasy land to walk around at night. Kanja is a wonderful Gassho-Zukuri. The room is a good size, very comfortable bedding. Shared bathroom is fine and does not get crowded due to the small number of guests. Fantastic shower and Onsen tub to relax in. The food was amazing and generous. 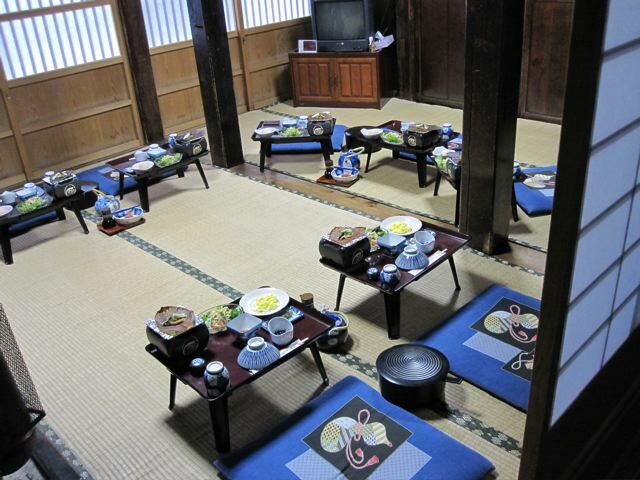 Traditional dinner and breakfast sitting on tatami mats with the other guests. A delightful shared experience. The place is not that far from when you arrive which has had criticism by other reviewers. The map provided by this website is not very good which does not help. I suggest you get a map on arrival, or Google a better map. Here is one site that provides a map which we got on arrival. Kanja is guest house number 26 on the map. https://thetokyofiles.com/2014/01/23/the-best-coffee-in-japan-surviving-shirakawa/shirakawago-map/ I highly recommend including a stay here as part of your Japanese adventure. This was our second visit to this gorgeous guesthouse. It is set up on a slight rise on the edge of the village away from the hustle and bustle. The village itself is rather touristy but once the tourists head off in the late afternoon the atmosphere is calm and peaceful. The experience of staying in one of these gassho houses is highly recommended. The guesthouse is spotlessly clean and both meals were delicious and authentic. Sitting on the balcony outside our room in the early evening, soaking up the atmosphere with a cool drink, is one I will definitely repeat. I would also mention that the bus trips in from Kanazawa and out to Takayama were surprisingly painless. I am not usually keen on bus trips, particularly on winding mountain roads. I was pleasantly surprised to find that both trips involved tunnels straight through the mountains meaning no winding roads! A romantic experience in a lovely village out of reality. The ryokan is very clean and pretty. The staff is friendly even if they do not speak much English. The dinner and the breakfast are delicious. We have to share the bathroom, two toilets for every bathroom (men and women). The shower is one separate room but very good and comfortable. This was our first experience in a traditional japanese room with the futons! Thanks to all the family of Kanjia. We were curious to try the gassho zukuri experience and we were positively impressed. The property is very nice and located 15/20 minutes from the bus station. The floor is wood, so the shoes are left at the entrance and lean around the structure in slippers (readily served by them). Beautiful dinner experiences (h: 18:00) and breakfast (h: 7:00). Foods, obviously, are different from ours but I appreciated. The only negative note is the price, because I think it's little beat high. The Dinner was Amazing. House was located away from tourist. Very Clean and spacious. We arrived early in the morning and were allowed to drop off our bags. The room was spacious and the room door opened out to a little patio. The food was delicious and meals were served in the dining room. It was a short hike to the observatory deck. The views were great in gorgeous in the day as well as at night. Since it was our first visit, we have no other data points for comparison on price and what other Ryokans offer. Initially, we were concerned about its location, being at far end of the village. But since the entire village is not too big and we ended up driving, it worked out well for us. It was peaceful and quiet, especially for after dinner stroll and early in the morning before all the tourists arrive. Highly recommend it since the place was clean and the food was good. Staying overnight to enjoy the tranquility was exactly what we had wanted. Beautiful ryokan in a beautiful place. The food was delicious and beautifully prepared. Rooms were nice and cozy. Friendly staff. It is not the best reason to visit Shirakawa-go, but it was part of our designed route - trying to get full utilization of the regional pass. The Ryokan is not easy to locate, which is at the far side of the whole village, but less busy. The facility is quite simple as advertised, one big room with shared bathroom. Very clean and tidy. The food for dinner and breakfast quite simple too, but (again!) not lacking of variety. Tasty as well - saw a girl ending up with 2 bowls of rice! Nice experience, however, may not justify the price of 20,000 Yen per night for non-peak season. Very enjoyable to stay here. Quiet, nice dishes, and clean room. Traditional Dinner & Breakfast are delicious. Although Kanja guest house requires more walking but is more peaceful environment. strongly recommend travellers to stay overnight. Although Kanja guest house requires more walking as compared to other guest houses, the advantage is a more peaceful environment. Price is high as compared to normal hotel but worth it as the dinner and breakfast is yummy delicious. environment is quiet and well kept. strongly recommend travellers to stay overnight. Was very enjoyable to stay here. Quiet, nice dishes, and clean room. A bathroom had to be shared, but was very clean, well managed. The dinner and breakfast were the chances to meet other travelers. This is the one you choose at Shirakawa-go village. It very very beautiful place. I've stayed alone at this ryokan I love here so much. Everything is great. The room was spacious, comfortable and lovely. The shared bath was cozy and comfortable and the communal breakfast/dinner was amazing and a fabulous way to meet other people staying at the ryokan. A unique experience to meet people from other country under one roof. Room was comfortable and shared bath is very clean and modern. The dinner was great! Very delicious but too bad due to I have to take the earliest bus back to Takayama, so no chance to enjoy the breakfast. Really enjoyed our stays in this ryokan. The food, service, atmosphere were great! Warmly welcome! the staffs were very nice and polite. The room and other facilities were cozy and comfortable. we enjoyed eating with the Japanese food! I loved my stay at Kanja. My room was excellent and considering how cold it was outside, I was very warm and had a great night's sleep. The family who own and run the guest house are very welcoming and very appreciative of you staying with them. The food was simply outstanding. I would highly recommend Kanja. GÃ®te situÃ© dans un village typique du Japon hors des sentiers battus. Des hÃ´tes qui vous accueillent avec chaleur et grande gentillesse. L'endroit est sÃ©curitaire, calme, propre et typiques. La nourriture est excellente et reflÃ¨te les habitudes alimentaires de la rÃ©gion. Nous recommandons sans hÃ©sitation ce gÃ®te. We highly recommend to stay a night here. Everything was well taken care of for us. It's quite an experience, don't miss it! We had an excellent stay at Kanja. Great room and some of the best food of our trip. Clean, cozy, nice food and friendly staff. We had a great experience at Kanja. I love my stay at Kanja. We wanted to stay at another ryokan but was allocated Kanja as the former was full. On hindsight, we were really glad we stayed at Kanja instead. It's a bit of a walking distance from the bus station, but it's very peaceful and quiet. Tourists hardly venture to the Kanja area so you get to enjoy the scenery without compromising on privacy. Staying in a gassho is truly a unique experience unlike any other. The sound proofing of the rooms are not so good but other than that the facilities are good (toilets and bathroom are really nice) and the communal meals is a unique way to meet other travelers. Highly recommended. Great house, great room with a nice view and a little terrace. The two houseladys were extremly friendly. The food was delicious, the dinner and breakfast with the other guests were a great experiences. Everything is very clean and homely there. I would recommend this place to my best friend without any hesitation. Fabulous stay with kindly hosts. The accommodation was clean and comfortable. The food prepared was simply delicious (our favorite being the famous Gifu beef with miso paste and vegetables that is cooked on a flame in front of you). Nothing bad can be said about our stay. Loved it and would love to return! Outside the Winter season, staying overnight gives you the freedom to see Shirakawago at the best times of the day - in the setting sun, and early in the misty morning when no one else is around. Kanja (or Kanji-ya as written on the local signs) is the furthest gassho-zukuri ryokan from the bus terminal, but because the village is small, it's still just a short walk. As with other historical ryokans, the outside looks ancient, but the interior is well maintained and has all the necessary facilities. The rooms have a traditional look but come equipped with power plugs, and the toilets are decidedly modern and comfortable. The food is excellent, with the regional specialties of hoba miso and gifu beef, but the rest of the meal is impressive as well - the charcoal-grilled fish is of special mention. 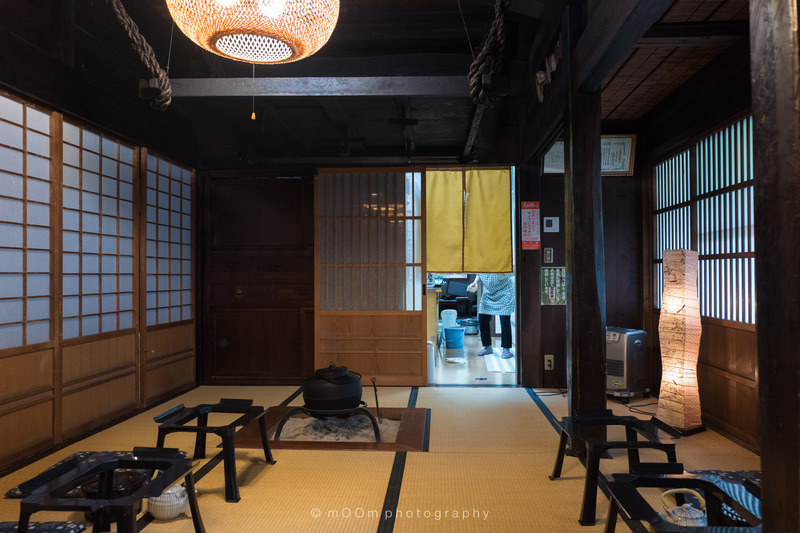 Do note that although the dining room has a traditional hearth (which is one of the features that supposedly distinguishes these ryokan from other places), the hearth was not lit during our stay. Perhaps it's only lit in Winter? We were a party of 3. Had a lovely stay at Kanja Ryokan in the picturesque Shirakawago. Location was nice and peaceful, tucked away from the main road. Dinner was served in a communal dining room with a sunken hearth (unlit). Food consisted of many elements and was delicious. Hosts gave us discounted tickets to the local onsen which was great. Only low point were our loud neighbours who kept us awake through the thin walls with their drinking and card game playing until the early morning. Other than that, a great experience. The place nice and clean --you can feel Japanese traditional atmosphere. The room was with a door to the garden so it was nice to wake up and feel almost in the nature. Gracious and a very pleasant hospitality incuded two wonderful meals. A place that you can meet travelers from around the world. Lodging Ryokan This completes the wonderful experience visiting the village. To be honest, our trip wasn't be complete without staying a night in the village, especially with Kanja. We really loved the atmosphere, foods, place, and hospitality. It was quiet and peaceful. We cannot forget how we enjoyed having outstanding two meals with other travelers under the traditional thatched roof. Everything was nice, clean, and comfortable. Staffs were polite. Such a Wonderful Unique Experience! Highly Recommend. The experience of staying at Kanja was good but the walls were cardboard thin and we could hear every word the other guests were saying, except we did not understand them (probably a good thing). They were a large group of eight and they were talking the whole time. 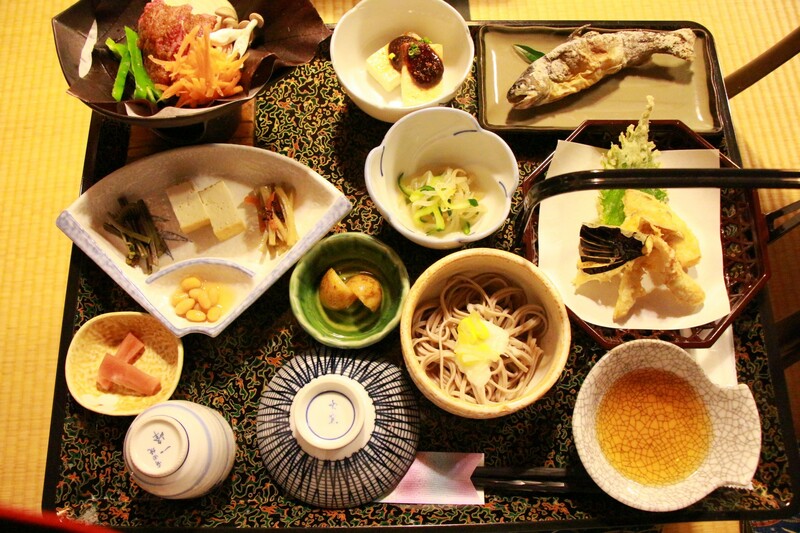 It killed the tranquility that should have followed a ryokan experience at shirakawa go. The one night stay was not considered cheap (Â¥20900 for two persons) so I had expected a much better environment. 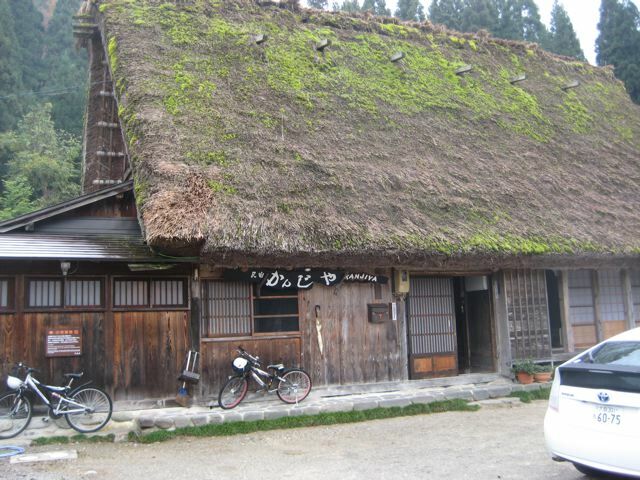 A little on Shirakawago - it is a very very touristy place. While the gassho houses are a marvel, they do look rather fabricated for tourism. Stay at another gassho house that can only accommodate fewer guests if noise will be a concern to you. Shirakawa-go is beautiful! like a fairy tail. We stayed only one night witch was enough, we could do everything that you could there. The ryokan is very clean and pretty, the staff speaks a liiiiiitle english, but its ok, The food was nice. Very well kept for a more than a 100 years old house! Even though we have to share the bathroom, they were separate men -woman and there were two toilets for every bathroom, so there was no problem. The shower is one separate room, but you can lock the door and use it for yourself, so that was good. This is a great ryokan in Shirakawa-go and was there 2 times in 2013 & 2014 and stayed Kanja. Food is very good taste and clean. Highly recommend to stay here ! The pictures of Kanja as shown on this website is exactly what we see when we were there. The bathroom & toilet facilities are modern, clean and looks very new. Walls are thin, and floor boards a little creaky but overall, it was a comfortable stay. Check out payments are accepted in cash only. 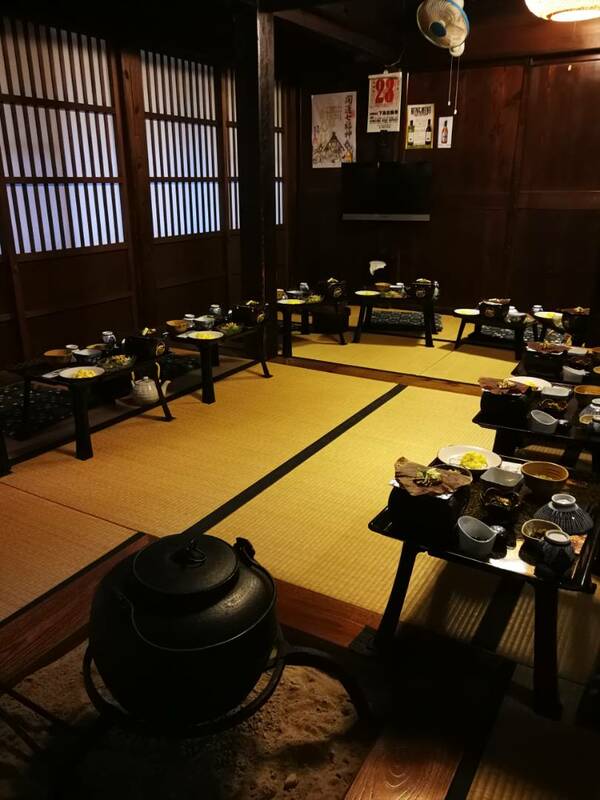 We booked this ryokan through Japanese Guesthouse office, the service was top-notched !Replies and booking confirmation was fast and accurate.. Thank you, Vincent, for taking all our enquires and reservations! Kanja guest house was on the top of a slope and it was not easy driving up the narrow road, especially in snowy conditions. However, it was the road was only about 20-30 metres long. I would caution people who are not familiar with driving in snow conditions. Otherwise, it was a nice guest house with delicious dinner and breakfast served by an old lady and her daughter. They do not speak much English so a little knowledge of Japanese was helpful. There are heaters in the room but should not be left turned on throughout the night. It can be pretty chilly in the night but we were given thick blankets with our futons so it was fine. For those who have not stayed in a Gassho home before, I would recommend it. Enjoy our stay at Shirakawa-go.Breakfast and dinner was amazing good.The place is clean and very comfortable. About 10 minutes walk from the bus stop. First, I planned to deposit my luggages in the coin locker but they did not allow to have it overnight, so I had to brought all luggages to guest house. It was difficult to stall them though snow. Anyway, we made it and arrived guest house at 11:00. We deposited luggages with Kanja and walked to have lunch nearby. Kanja had modern facilities such as toilet but its decoration offers the traditional style. They served us with yummy snack and tea. Then the dinner would served at 19:00 hrs. Dinner was delicious and enough for a big guy like me. Room was equipped with heater so kept us warm till morning. Breakfast was served at 07:00 hrs. Not so much like dinner but look reasonable. When we arrived earlier than check-in, we were allowed to deposit our luggages. As it was drizzling and seeing that we had no umbrellas, the owner graciously loaned us 5 umbrellas for my family to walk around the village. Dinner was superb. Overall, it was a very good experience for my family.